Mammoth fridges and freezers are a quality product made by Primus, who have been making camping and adventure products for over 125 years. Like all Primus products, no shortcuts are taken and these German engineered units are a quality item. They range from a single lid 37-litre model right through to the 130-litre dual lid models, with each having in common the same high standard of quality, features and components as outlined below. The casing of each unit is made from heavy duty steel and lined with 45mm of thick insulation. 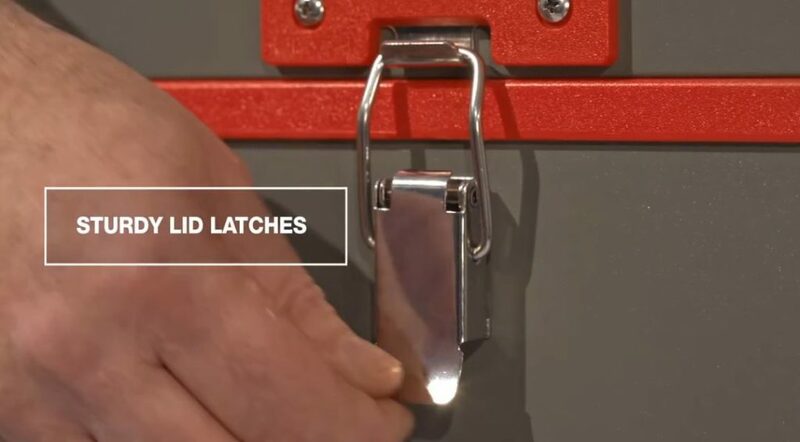 Each unit has recessed metal handles and sturdy lid latches. 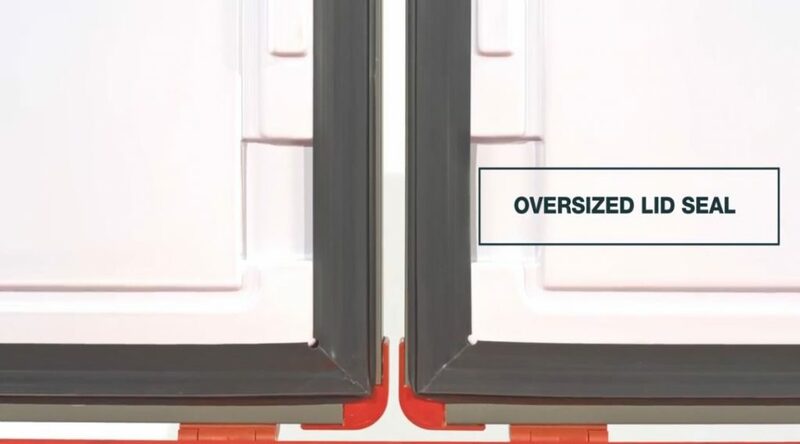 The lids are either a single lid for the smaller 37 litre model, or a dual lid for the flexi zone twin lid models, which offer independent access to each compartment, but with the same performance. This is ideal for RV’s and remote campers who may be without power for longer periods. 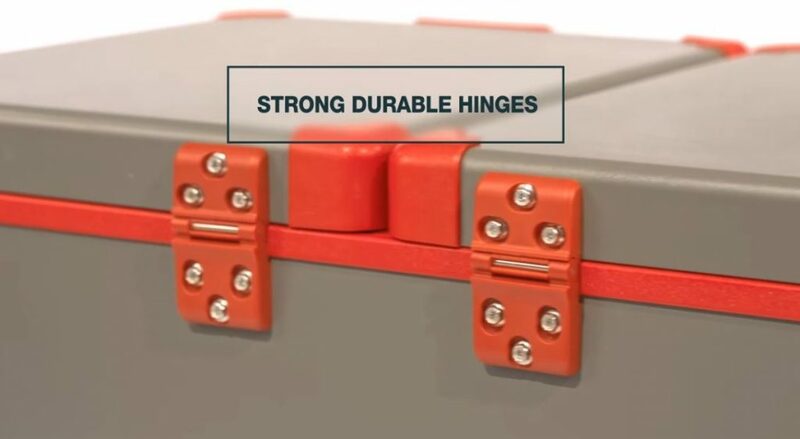 Each lid also has oversize seals and strong durable hinges. Inside there are removable baskets and an internal LED light. 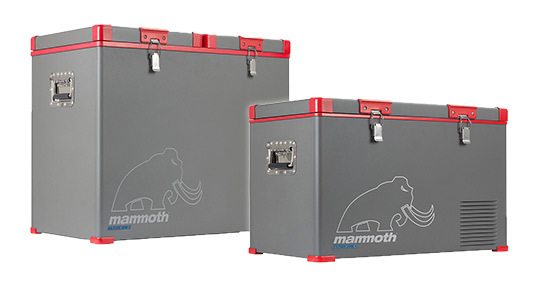 Mammoth use one of the most reliable and efficient mobile refrigeration compressors available in today’s market. 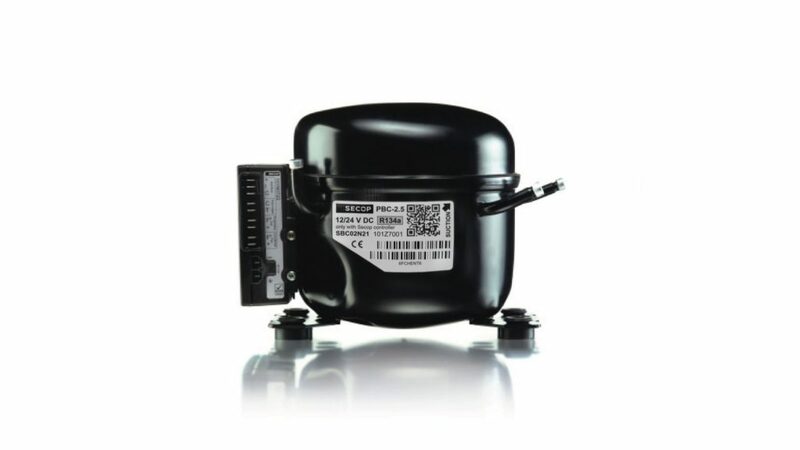 The SECOP compressor, formerly known as Danfoss Compressors are one of the founders of modern compressor technology, dating back to the 1950’s. They are a German engineered compressor and highly efficient capable of maintaining a temperature as low as -18°C with ECO & MAX setting modes. 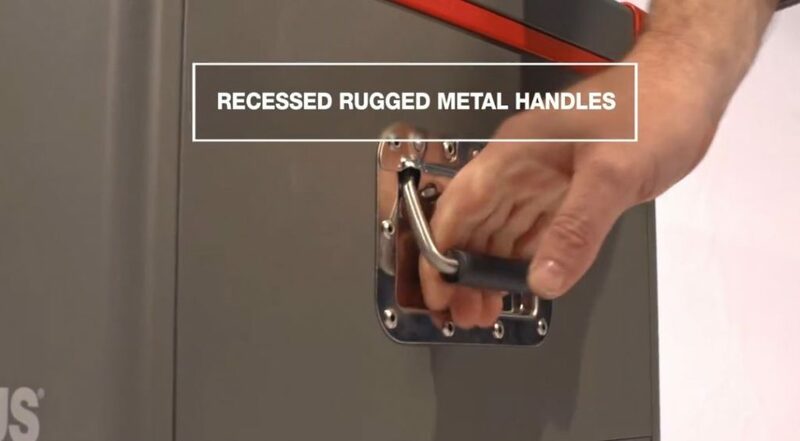 They have the added advantage of effectively operating with up to a 30-degree tilt, which is ideal for anyone driving or camping off-road. 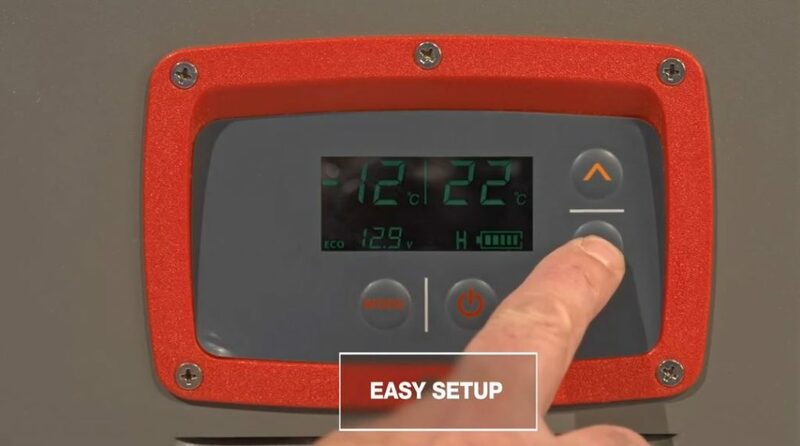 The digital control panel is easy to set up and from it, you can easily decide whether the unit runs as a fridge or freezer, the electronic temperature control does the rest. This panel also controls the three-stage battery protection with independent shut down to ensure you don’t drain or damage your battery. 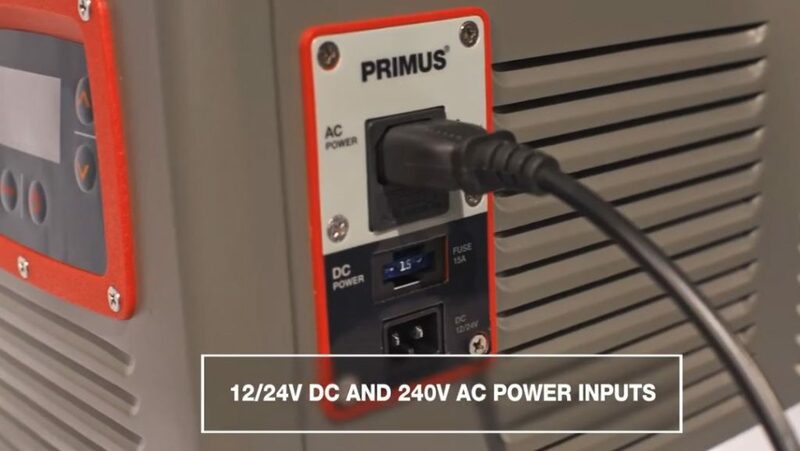 Each unit runs on either 12/24V DC and or 240v AC power with 3 stage battery protection. The units are highly efficient and capable of running well off portable power supplies. For the single lid model, you can choose from the typical setup of fridge/freezer, or on the dual lid models, set both compartments to the same temperature to create a large fridge or freezer. 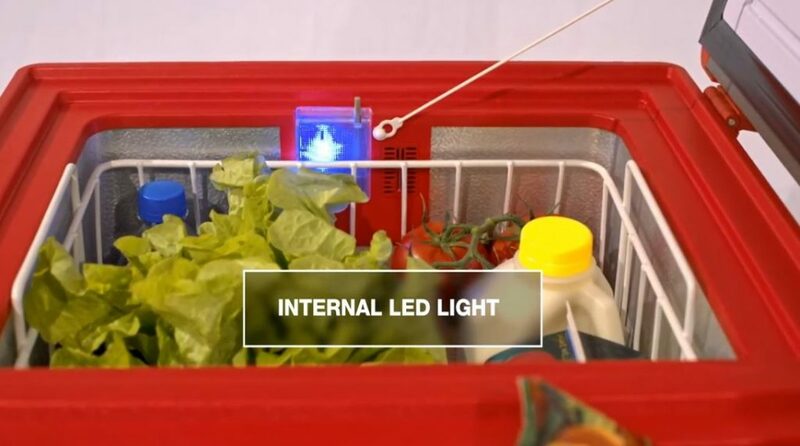 It’s also possible to shut one of the compartments down, which not only saves power but is a handy feature towards the end of your trip when there’s less food and drink to keep cool. 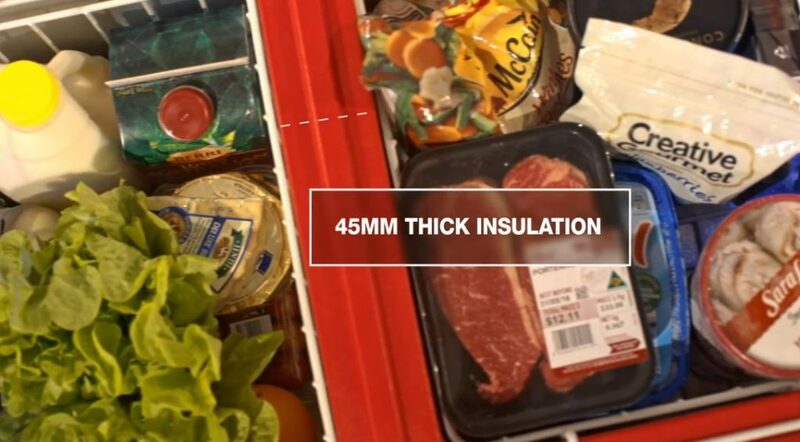 Mammoth is currently offering what is possibly the best fridge warranty in Austraila, with the entire Mammoth range of Fridge/Freezers covered by an extraordinary 3 Year Warranty, with an extensive network of service agents right around Australia. Want to know all the details. 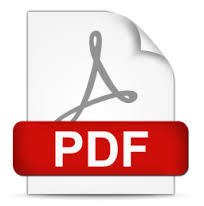 For full specifications on the 37 & 92 Litre models, download the pdf below.